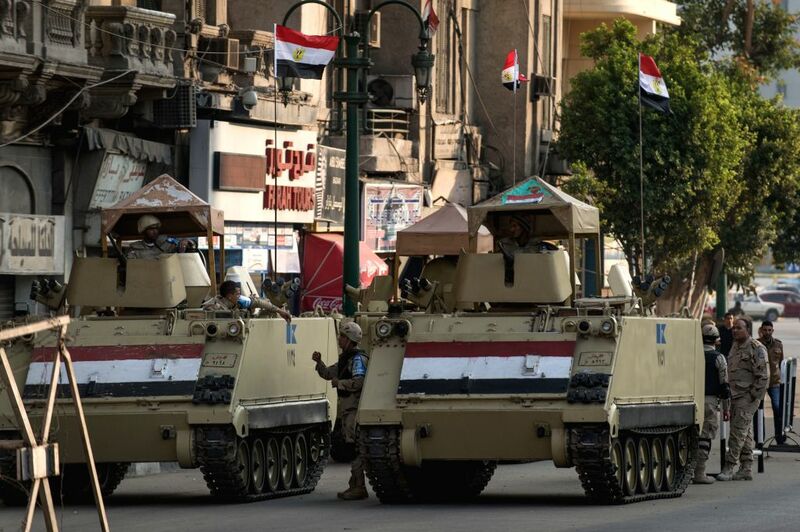 Cairo (Egypt): Egyptian military personnels and tanks guard during a pro-military demonstration at Tahrir Square in Cairo, Egypt, on Nov. 28, 2014. 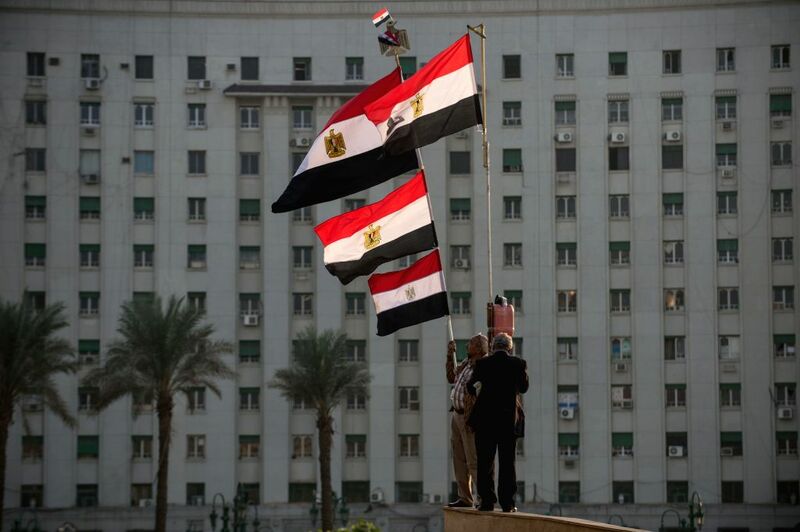 A heavy sound of explosion was heard on Friday afternoon around Ramses Hilton hotel near Tahrir Square in downtown Cairo, where a pro-military demonstration took place. On the other hand, two people were shot dead during clashes between policemen and protestors at Cairo's Al Matariya neighborhood. 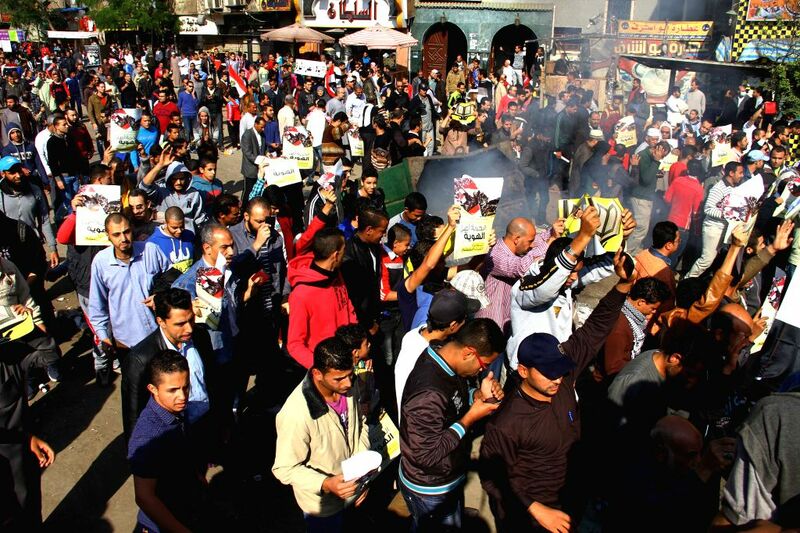 Cairo (Egypt): Supporters of ousted Islamist President Mohamed Morsi attend a demonstration in Cairo's Al Matariyyah district, Egypt, on Nov. 28, 2014.